A 1969 Highlands graduate, Whittier had suffered from Alzheimer's disease in recent years. 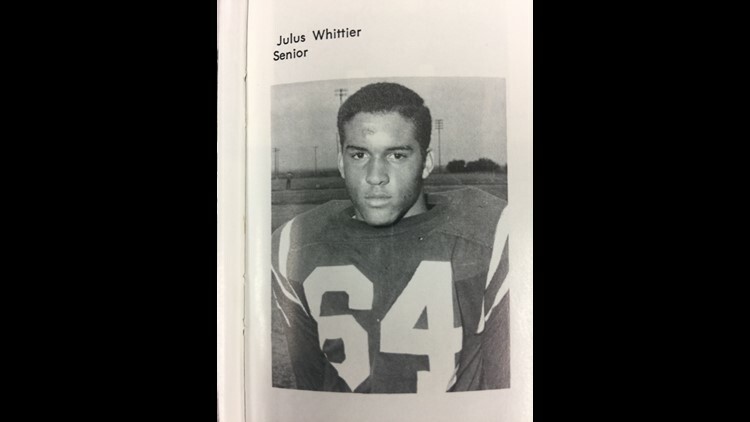 An exemplary student-athlete, 1969 Highlands graduate Julius Whittier went to the University of Texas to play football and expand his horizons in the classroom. He succeeded in doing both. As things turned out, Whittier broadened UT's world as well with his tenacity on the football field and intellectual curiosity from the day he stepped on campus. 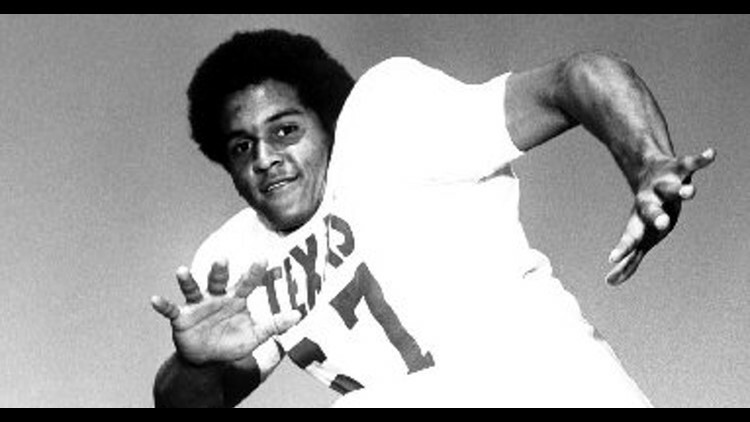 Whittier, a San Antonio native, became the first African American football letterman in UT history in 1970, opening the door for scores of blacks who followed. The UT Athletic Department announced Whittier's death on Thursday. He died in Plano at a memory-care facility, said his youngest sister, Mildred Whittier, who lives in Plano. In 2014, Mildred Whittier sued the NCAA on behalf of college players who suffered brain injuries from 1960 to 2014. The case is still pending. "It's been amazing how many different people I've heard from today," Mildred Whittier said Thursday night. "I get choked up every time I hear different stories, wonderful stories about my brother, that I never knew about him. I've heard about the wonderful ways he mentored someone, or showed compassion to someone. "I've been getting a lot of good commentary from folks about him and what he did for them. It's just heartwarming to know that so many people liked him." 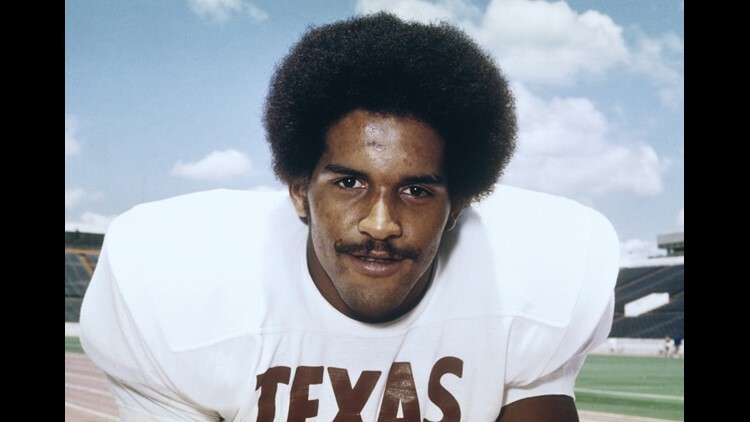 Whittier was the only black player for the Longhorns when joined the team as a freshman in 1969, but NCAA rules prohibited freshmen from playing on the varsity in those days. The 1969 Longhorns were major college football's last all-white team to win a national championship. Whittier lettered a year later as a member of the 1970 Longhorns team that won the UPI national title. A guard, tight end, and linebacker during his college career, Whittier was a three-year letterman on UT teams that won three consecutive Southwest Conference titles from 1970-72. He was an offensive guard in 1970 and 1971 before being moved to tight end in 1972. Those were the days when the Longhorns ran the wishbone offense, eschewing the pass to pound teams with a pulverizing ground game. Quarterback Alan Lowry threw only one touchdown pass in 1972 -- to Whittier -- in a victory against rival Texas A&M. UT's 1972 team finished 10-1 and No. 3 in the country after edging No. 4 Alabama 17-13 in the Cotton Bowl. The Longhorns went 28-5, including 20-1 in the SWC, in the three seasons that Whittier was a letterman. "I didn't realize how big all that was at the time," Mildred Whittier said. "Texas was pretty much Julius' choice from the start because he thought it was big-time football. We went to his games, but I didn't grasp the magnitude of the experience he was going through. Him being the first African American [to letter] had not crossed my mind at the time. "It wasn't until after he got there and they started writing stories on him that I realized something was going on. But I never thought it was any bigger than we were. Julius always handled everything so well. He knew what he wanted to do. He went up there with the attitude that he knew what he was getting into. While Whittier faced racism from some of his UT teammates, he always took the high road and never became embittered. "Never, ever was he bitter," Mildren Whittier said. "Going to Texas and playing football there was one of the biggest, growing experiences of his life. He took advantage of every moment. He got a great education and his world was expanded as a result of that experience. "He was from San Antonio, not a small town, but he was exposed to so much at Texas. He took advantage of his education there. He did what he wanted to do." Inducted into the Longhorn Hall of Honor in 2013, Whittier went into the San Antonio ISD Athletic Hall of Fame last month. Mildred Whittier represented him at the SAISD Hall induction ceremony. Whittier became an attorney and worked for the Dallas County District Attorney’s Office before his illness forced him to retire in 2012. He earned his degree at UT in philosophy and a graduate degree from the LBJ School of Public Affairs in 1976. Years later, Whittier recounted going to the LBJ Ranch and having lunch with President Lyndon B. Johnson. It was there, Whittier said, that President Johnson encouraged him to attend the LBJ School of Public Affairs. "I'm very proud of my brother," Mildred Whittier said. "When he went to Texas, he wanted to show the Texas coaches that he had the skills that they were looking for, that they wanted. It was the same with his academic achievement. He looked at that as a way to expand his mind. "He got his undergraduate degree in philosophy. He was an avid reader and loved talking with people. If you sat down to talk with him, you better be ready because he knew about a lot of things." Julius Whittier was the third of four children born to Loraine and Oncy Whittier, both deceased. He had an older brother, Oncy, who is deceased, and older sister, Cheryl Whittier Streeter, who lives in San Diego. Mildred was the youngest of the Whittier children. Whittier is survived by his two sisters and three daughters. A memorial service has been tentatively scheduled for 11 a.m. on Friday, Oct. 5, at Oak Cliff Bible Fellowship Church in Dallas, Mildred Whittier said.